Beautiful sound. 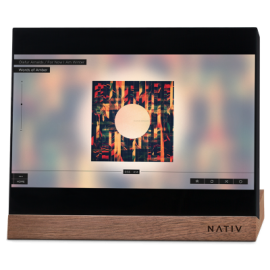 Revolutionary control.Nativ Vita is a world-class music server and touchscreen control center. 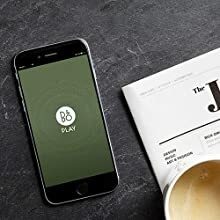 Enjoy instant access to all your music, from your favorite music services—such as A..
Make your music available to network music players. The sonicTransporter runs RoonServer, Squeezebox Server, and MinimServer (DLNA server). Rip your CDs or load existing music to its huge internal hard drive and your music will be available to virtually any network player. No keyboard or monitor needed. A plug-n-play Roon server. Access your sonicTransporter AP with a web browser from your tablet. With its fast processor and SSD (for your music database) the sonicTransporter AP is perfect for lightning fast access to your music. The internal spinning drive is cached by a large SSD so in most cases it will spin down once music playback has started. Attach a Sonicorbiter SE or microRendu to your USB DAC and you have a complete digital transport solution. 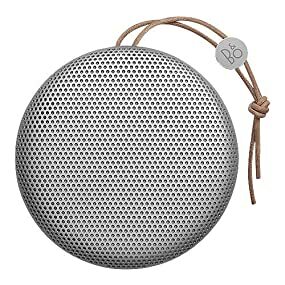 Also works great with Sonos network speakers. 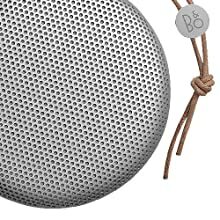 Have your local music or iTunes purchased music files available to your Sonos speakers at any time without having to turn on your computer. RoonServer is preinstalled but you need to purchase a license from Roon Labs or take advantage of a free trial. The sonicTransporter AP is designed for a music library of 1 - 750K tracks. This includes Red Book audio, DSD, Hi-Rez and mp3 tracks. The internal 4TB driver can hold approximately 110K Red Book audio or less DSD, and Hi-Rez tracks. 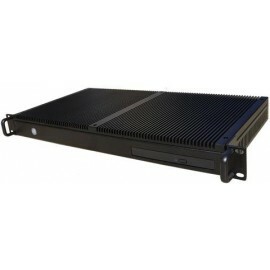 We can build custom solutions utilizing all SSD storage up to 12TB or spinning drives up to 10TB. Please contact us for custom solutions. 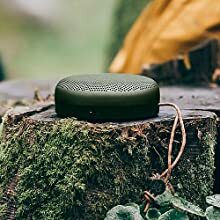 Make your music available to network music players. The sonicTransporter runs RoonServer, Squeezebox Server, and MinimServer (DLNA server). 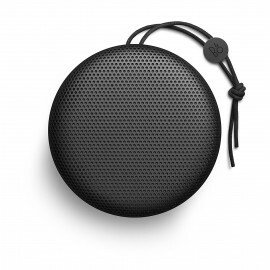 Rip your CDs or load existing music to its hu.. 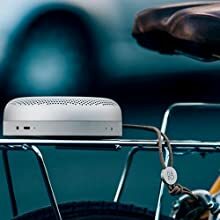 The sonicTransporter i5 replaces your desktop, laptop, Mac mini, etc... to provide the premier solution for those wanting more from their home computer audio experience. The sonicTransporter i5 runs Roon Server, HQPlayer (embedded), Squeezebox Server, Plex Media Server and MinimServer (DLNA server). Attach a USB drive full of music or a NAS and your music will be available to virtually any network player. Add up to 4TB SSD internal storage when ordering. If you want a simple all in one solution we also have the option of an internal SSD drive. See options above. 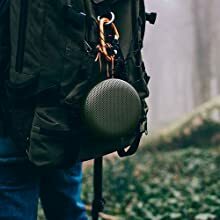 The sonicTransporter i5 is designed for a music library of 1 - 450K tracks. This includes Red Book audio, DSD, and Hi-Rez. If your music library is larger then 450K tracks we recommend a custom solution. Contact us for your music storage needs. The sonicTransporter i5 replaces your desktop, laptop, Mac mini, etc... to provide the premier solution for those wanting more from their home computer audio experience. With a simple to us.. The sonicTransporter i5 CDR (CD Ripper) adds to the sonicTransporter i5 by providing a CD Ripping and 2TB Hard Drive to rip and store your audio CDs. 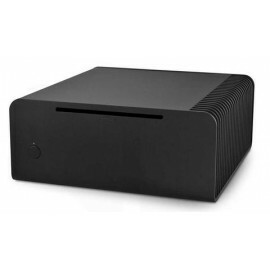 The sonicTransporter i5 CDR replaces your desktop, laptop, Mac mini, etc... And acts like a NAS to store your music and other files. 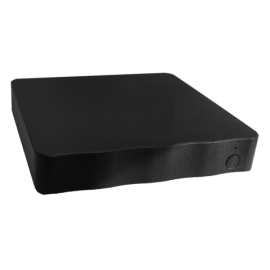 With a simple to use web-based interface (no separate keyboard, mouse, or monitor required), the sonicTransporter i5 CDR will have you playing music across your network quickly and easily. The sonicTransporter i5 CDR runsRoon Server, HQPlayer (embedded), Squeezebox Server, Plex Media Server and MinimServer (DLNA server). 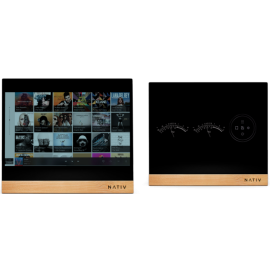 Attach a USB drive full of music or a NAS and your music will be available to virtually any network player. Add up to 4TB SSD internal storage when ordering. With an i5 processor and SSD (for your music database), the sonicTransporter i5 CDR is perfect for lightning fast access to your music. 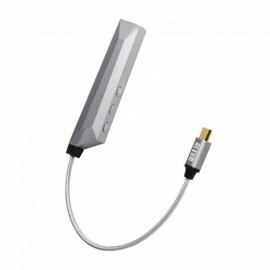 Attach aSonore Rendu series playerto your USB DAC to have a complete digital transport solution. 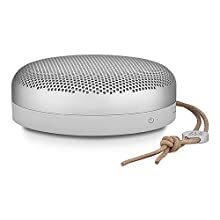 The sonicTransporter i5 CDR also works great withSonos network speakers. 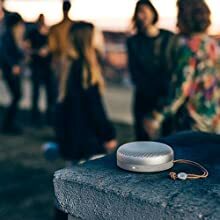 Listen to your local music oriTunes musicfiles on Sonos speakers at any time without ever turning on your home computer. 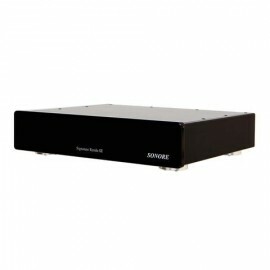 The sonicTransporter i5 CDR is an exceptionalPlex Media Serverallowing users access to audio, video, and image content. Solve your media chaos with Plex. The internal 2TB drive can hold approximately 60K Red Book audio or less DSD, and Hi-Rez tracks. The sonicTransporter i5 CDR (CD Ripper) adds to the sonicTransporter i5 by providing a CD Ripping and 2TB Hard Drive to rip and store your audio CDs. The sonicTransport.. Introducing the Signature Rendu SE, the absolute ﬁnest streaming USB source we have made. 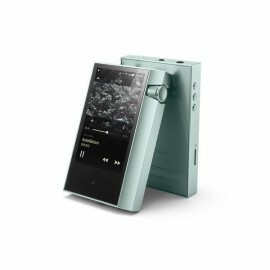 The Signature Rendu SE is the natural evolution of Sonore’s microRendu (computeraudiophile.com Product of the Year 2016) and Sonore’s acclaimed Signature Power Supply. 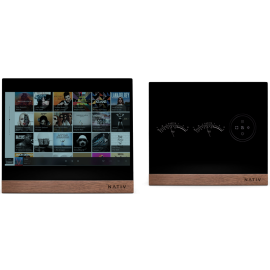 The Signature Rendu SE takes an Ethernet audio stream and renders it to a perfect, ultra-low noise USB feed to one’s USB DAC. While the microRendu is a revolutionary product, the Signature Rendu SE takes off from the microRendu concept, improving on it by reﬁnement and attention to every detail. The Signature Rendu SE takes advantage of a single chassis design, allowing close coupling of the power supply and processing board for the ultimate in ultra-low impedance and ultra-low noise power delivery. The Signature Rendu SE processing board uses a larger footprint to allow for more independent low noise voltage regulation stages (all main board regulators are now ultra-low noise linear types), and better physical separation of the Ethernet processing and USB output sections, further reducing noise and crosstalk. A new ultra-low phase noise (so-called “femto”) oscillator is used to govern all processing and USB audio output. No keyboard or monitor needed. A plug-n-play Roon Player. Access your Signature Rendu SE with a web browser from your tablet. The internal power supply is a no compromise design featuring a custom wound, EI style transformer from Mercury Magnetics (made in the USA). This transformer effectively blocks AC line noise, providing a solid foundation of clean power. Ultra-soft recovery diodes and ﬁlm capacitor damping assure a DC supply free of ringing artifacts, and massive power supply capacitance (50% more than used in even the Sonore Signature Supply) ensures low impedance/low ripple power delivery to our main, discrete linear pre-regulator. A stainless-steel chassis divider protects the processing circuitry from both AC wiring and transformer-based stray RF and EM interference. The Signature Rendu SE is housed in a beautiful audiophile custom chassis, (made in the USA) which is right at home alongside the ﬁnest audio components in the world. Upgraded custom footers with larger Sorbothane pads virtually absorbs all external micromechanical interactions from migrating into the highly critical processor and re-clocker boards. Introducing the Signature Rendu SE, the absolute ﬁnest streaming USB source we have made. 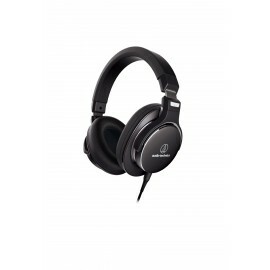 The Signature Rendu SE is the natural evolution of Sonore’s microRendu (computeraudiophile.com Product of.. 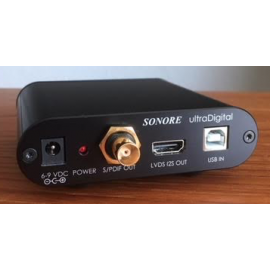 The Sonore ultraDigital project is a USB digital converter with SPDIF output via BNC and a LVDS i2s output via HDMI. The LVDS i2s output supports various formats for compatibility with various digital to analog converters. For use with microRendu, ultraRendu, and Signature Rendu SE only. 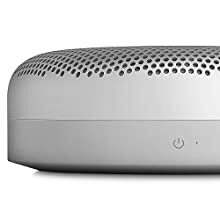 Please note Sonore will not provide support for direct connection to OS X or Windows. USB to SPDIF and LVDS i2s converter The Sonore ultraDigital project is a USB digital converter with SPDIF output via BNC and a LVDS i2s output via HDMI. The LVDS i2s output supports vari..